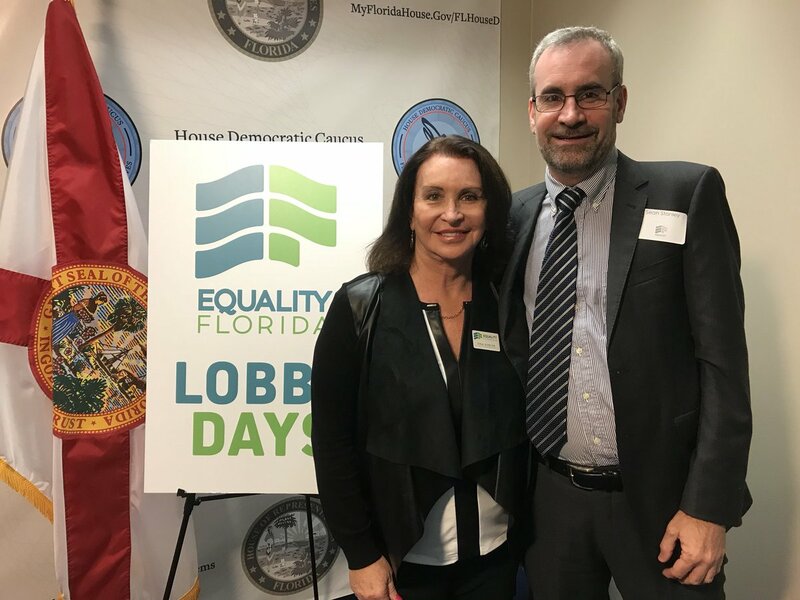 "Transgender Dynamics in the Workplace and Classroom"
Equality Florida is pleased to announce our "Transgender Dynamics in the Workplace and Classroom". This initiative will help provide knowledge of the dynamics of the transgender community with the belief that embracing diversity in the workplace increases productivity, provides a corporate competitive advantage, and increases economic development in society. Equality Florida Boardmember Gina Duncan is spearheading the effort. Gina is a national and international corporate trainer and speaker specializing in transgender dynamics in the workplace. She has worked with major corporations, elected officials, school boards, colleges, universities, and non-profit organizations to improve knowledge and understanding of the transgender journey and the development of competencies in supporting transgender people in the workplace, educational environments, and in various organizations. Gina has presented at Sodexo, Darden International, Wells Fargo, University of Central Florida, Orange County Board of County Commissioners, and the Economic Diversity Summit, Milan Italy, sponsored by the Harvey Milk Foundation.